This story is in honor of my grandparents who immigrated to the United States and to my father Marco, who is my hero. His picture when he was a young man is below. My grandfather, Domenico Pasquale Gliatta, was born in Greci in 1888 to Carlo Gliatta and Carosena Pucci. Out of four children, he was the only one to survive and his mother passed away when he was two years old. In 1906, at the age of 16 or 17, he immigrated to the United States. He traveled to his Aunt Lucia who lived in Waukesha, Wisconsin. When I was a child, I always remember him telling me that he grew up with the animals. Perhaps, this was a reference to him growing up in a rural town at a time when farm animals were still in the house and when he worked in the fields farming, in Southern Italy. Also from Greci, my grandmother, Serafina Gliatta was born on November 1895. She was from a family of nine children, five of whom were born in Greci and four who were born in America. 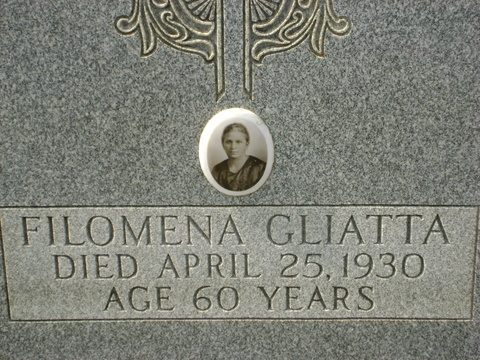 Her parents were Donato Gliatta and Filomena Rosato. Although I am not entirely sure of the exact date she immigrated to the United States, I know her father immigrated to Chicago in 1901 to go by his cousins, the Sasso family. Somehow, and I have no exact record, but my father used to mention that they eventually settled in Bureau County, Illinois, which is southwest of Chicago . Many Italians settled in this area for work. The picture below was taken about 1913. From L to R - Pasquale - my Grandmother's brother; Donato - my Grandmother's father; Baby Rose - my Grandma's sister; Filomena Rosato- my Grandmother's Mother. As fate may have it, my grandparents were married in 1910 in Chicago. 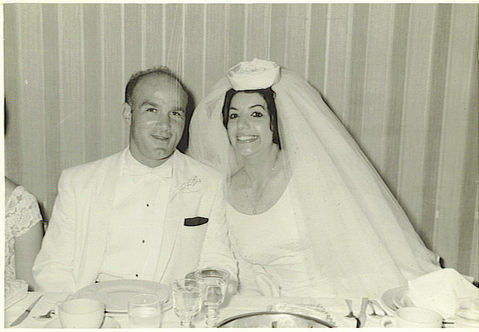 The marriage was prearranged between my grandfather's Aunt Lucia and my grandmother's parents. After they were married, they would eventually settle on Chicago's West side. Taylor street to be precise. My grandparents and their children would live with my grandparents and all the kids for the rest of their lives. From 1912 to 1923, they had a total of 14 children. During this period, our name was changed from Gliatta to Glitta. 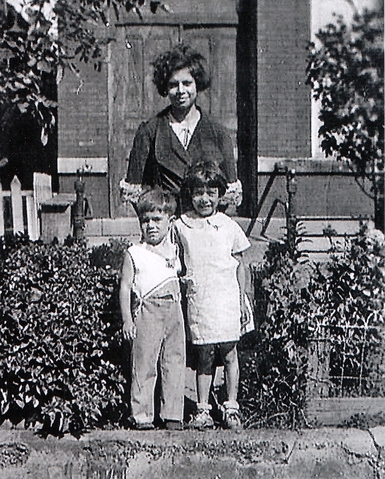 The story goes, my grandmother had a set of twins in 1914, Carlo and Donato. Carlo died in 1920 at the age of six, but Donato who became known to me as Uncle Danny, lived. When he was sent to school, his last name was misspelled as Glitta. From that time on, the name Glitta would be used instead of Gliatta. Another set of twins to this couple died as babies. On the certificated below you will notice that the Gliatta name is misspelled. Although times were hard, raising a large family, my grandfather always supported his family. His father-in-law, who died in 1917, worked on the railroad and my grandfather started working with him, but later on wound up working in construction as a laborer. Even when he arrived to this country, at Ellis Island, his occupation said laborer. In contrast, my grandmother was a housewife, staying at home with the children. In the neighborhood, my grandfather was known as Sharkey. He would work all day and stay out with his friends at night, then come home and heat up a bowl of macaroni, then go back to work. While, I recall my grandmother being a woman who never liked to be alone. She would take people off of the street to live with her. Comadre Archangela before my time and Helen during my time, all stayed with her. By many accounts, my grandmother was a nice woman, but very protective of her sons and didn't want to lose them when they got married. As it became, there was nobody to carry on the family name. All my uncles had daughters until my father met my mother, Rosanna, married her, and had me. After marriage, my parents and I lived with my grandparents. My mother did not have to change my diaper for two years because my grandmother would do it and she also taught my mom to cook. 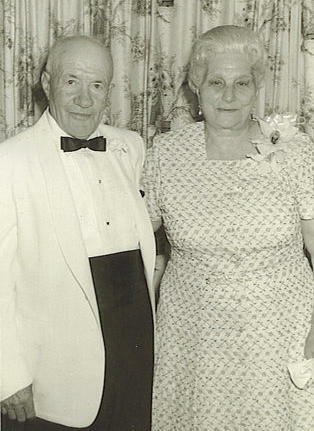 All in all, I have lots of fond memories of my grandparents. The things I remember the most were hearing words in dialect and my grandfather teaching us kids how to count in Italian. My grandparents never moved too far from the neighborhood. My grandmother always wanted to be around the Italians, so we stayed in the same neighborhood. Throughout the years I learned many traditions from my grandparents that have been passed on from generation to generation. Not to mention, we are hard headed and we say old words that are not said today. We never call pasta, pasta. We always call it macaron'. In honor of my father, I named my son Marco. I am happy that he will carry on my father's name. 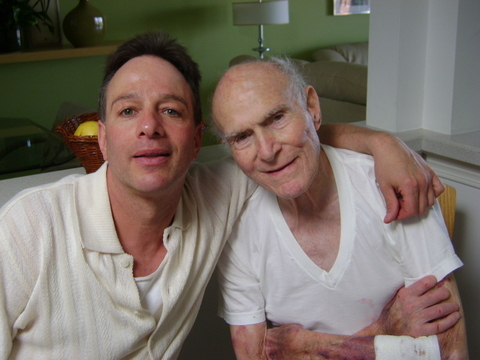 Below is me and my Father Marco Glitta shortly before he passed away.